When it comes to passing along your tables, chairs, and other pieces that you've grown tired of, garage sales aren't your only options, and potential buyers aren't limited to your neighbors. Thanks to these 5 online services, selling your old furniture can be much easier than you imagined. The next time you’re cleaning house and want to unload a couple of old pieces of furniture, don’t fret: A slew of 20th-century services make it easy to pass along old tables and chairs. And Craigslist isn’t your only online option—there are a range of new (and user-friendly) websites to choose from that require little more than snapping and uploading a photo. So, dust off your end tables, bookshelves, and chairs—whatever it is that you’re ready to sell. In no time, you’ll have cash burning a hole in your pocket, eager to fund your long-overdue room refresh. 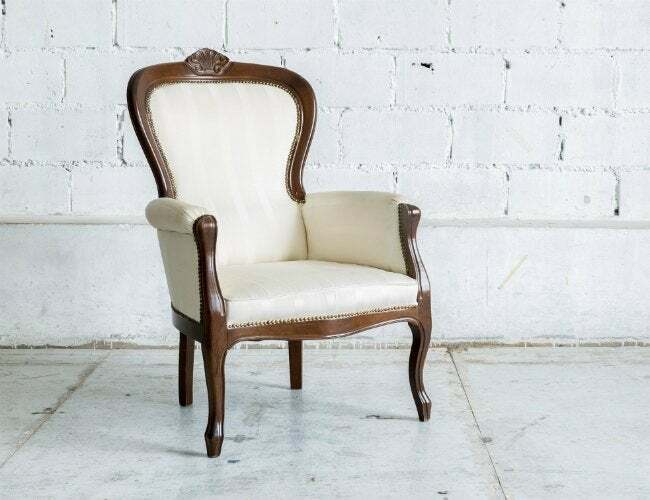 Sure, this popular website is known as a marketplace for local artisans and crafters, but you’d be surprised—it’s also a great place to list old furniture that you’d like to sell. It makes sense: The DIY market is full of people interested in refinishing used tables and chairs for various home projects. To get a sense of what’s out there, just go to Etsy’s homepage and search on “furniture listings”—you can even filter for handmade or vintage pieces. As you check out the competition, look carefully at the posts and try to model your own listing, including photos and description, after those that you think are especially strong and likely to result in a sale. Not interested in calculating shipping costs? Etsy offers the option of designating an item—like, say, that bulky sideboard—for local pickup only so you can schedule face-to-face interactions with buyers in your area. Consider this site the online version of a furniture consignment shop, with zero fees to list and a pickup fee calculated based on the specific pieces you’re unloading. You start by submitting photos and details about the furniture you’re offering for sale. Move Loot will reach out within 48 hours to extend an estimated payout offer based on similar sales in its marketplace—and if it’s a go, they’ll write the whole listing for you. You don’t have to lift a finger! As your items sell (typically within two weeks of listing), the white-glove service arranges a pickup time and packs up your furnishings so that they’re safe and protected. In return, you get payment in the range you agreed to, or up to 20 percent more if you choose to accept payment in the form of a site credit to spend on replacement furnishings. If your stash hasn’t sold after 30 days, you can ask the team to mark down the price until it does, or have them take down the listing altogether and relist another time. Locations: Atlanta, Austin, Baltimore, Boston, Charleston, Charlotte, Chicago, Cincinnatti, Columbus, Dallas, Denver, Detroit, Fort Myers, Hartford, Houston, Indianapolis, Jacksonville, Kansas City, Las Vegas, Los Angeles, Louisville, Miami, Milwaukee, Minneapolis, Minneapolis-St. Paul, Montreal, Nashville, New Orleans, New York City, Orlando, Philadelphia, Phoenix, Pittsburgh, Portland, Raleigh, Richmond, Sacramento, San Antonio, San Diego, San Francisco, San Jose, Seattle, St. Louis, Tampa, Toronto, Vancouver, Washington, Washington, D.C.
With Furnishly, it’s easy to take your yard sale online, where it won’t be confined to a single weekend that happens to have the best weather forecast. 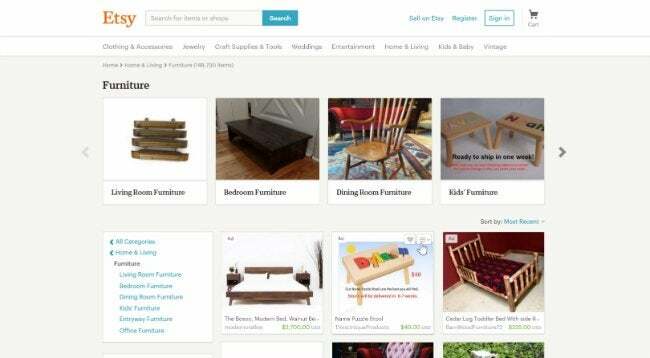 The site lets you launch your own curated “shop,” which you start by submitting to the site for approval your full listing of the used furniture you’re aiming to sell. 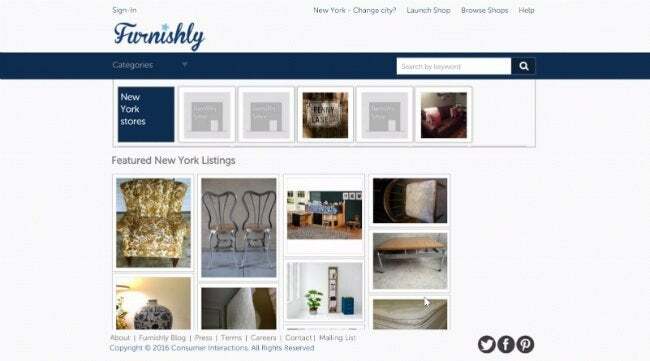 Furnishly markets to shoppers looking for geographically desirable pieces—items they can easily swing by to pick up—so before visitors comb through the site’s most recent listings, they are asked to pick their city from the list of 48 metropolitan areas where the company operates. This means that you, as the seller, can deal with the prospective buyer directly and arrange pickup at your convenience, while Furnishly handles the financial transaction online, saving you from scams. AptDeco makes it easy to sell old furniture without all those in-person hassles. Your only job? Spending a few minutes posting detailed photos and a thorough, compelling description of your used furniture on their site. Listing on the site is free, and it includes the team’s expert advice on pricing and marketing your goods. Once you have approved a buyer, AptDeco takes a 19 percent cut of the sale. But here’s where it’s really worth the cost: You pick the date and time for a convenient pickup, and AptDeco’s white-glove service will handle careful transportation out of your house and to the buyer. When payment arrives within the next 48 hours, your home will be less cluttered and your bank account will be fat and happy. Easy! The no-frills website is well known for a reason: It is convenient for both the seller and the buyer. Here, you can list the furniture you have for sale in the classifieds section for your own city, post pictures of it (or not), and then wait to see if you get a bite. There’s no middleman, so it’s completely free from start to finish. The responsibility falls on you alone for writing up, pricing, posting, coordinating a pickup time, and completing the transaction (often in cash). Fortunately, Craigslist cloaks your email address by requiring interested buyers to message through the site, leaving you totally anonymous until pickup day—and free from emails from strangers after you’ve closed the sale.